Just happened 2 hours ago in Owndays, Tiong Bahru, Singapore. 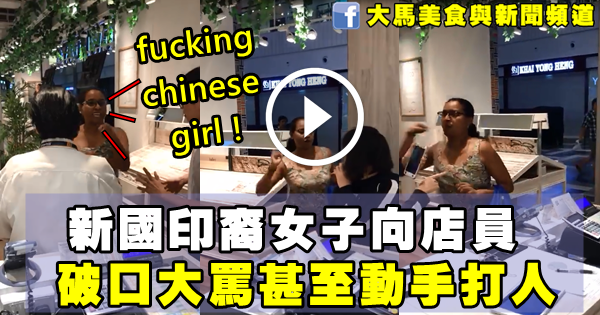 Indian lady assaulting chinese female. Notice how she throws the bracelet in the fitting room the first time she enters it after that claiming the bracelet is missing. This indian lady claimed that her pearl bracelet was missing; accused the two chinese ladies for the caused for her lost bracelet. 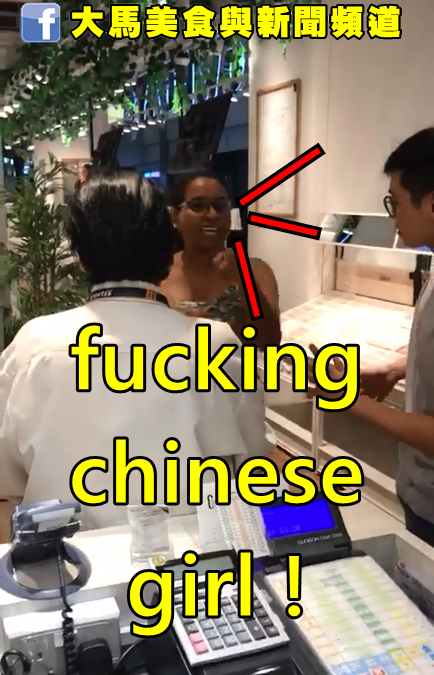 If you were to view this video again; from the start of this video her bracelet was on her wrist, she beat the Chinese ladies until the bracelet fell off from her wrist. Thereafter, she pick up her bracelet and wear it on again; shortly after she walked into a space/ room covered with a curtain and threw her bracelet inside and asked the 2 Chinese ladies to find her bracelet inside.